SEATTLE – Capt. George E. Pellissier relieved Capt. David A. Vaughn of command of the U.S. Coast Guard Cutter Polar Sea during a change-of-command ceremony, in Seattle, Friday, July 1, 2011 at 10:30 a.m. The ceremony was held on board the Polar Sea, which is located at Coast Guard Base Seattle’s Pier 36. Capt. Vaughn assumed command of the Polar Sea in June 2009. Under his command, Polar Sea conducted their 2009 Arctic West Fall Patrol, which included transits to the Arctic, Chukchi, and Bering Seas. During Arctic West, Polar Sea supported science teams as they studied properties of the water column and sediment and examined the impacts of climate change. The 399-foot cutter’s crew also assisted with groundbreaking polar bear research that involved the first-ever captures on floating sea ice. 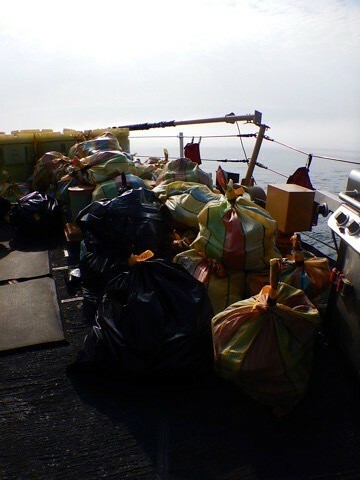 During her Bering Seas Ecosystems Study (BEST) 2010 mission, she supported a multi-year, multi-disciplinary science team in their continued study of the complex interaction of marine life in and around the Bering Sea. Capt. 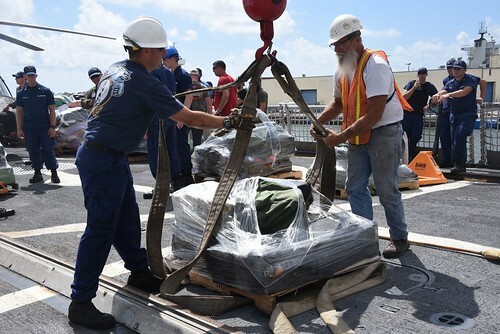 Vaughn, a 1986 graduate of the U.S. Coast Guard Academy, will leave the Polar Sea for his next assignment as the Coast Guard liaison to Commander, U.S. Pacific Fleet in Pearl Harbor, Hawaii. 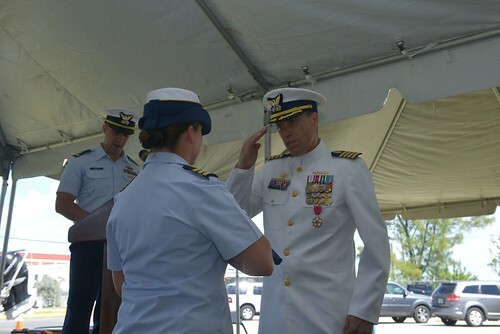 During this change of command, Capt. Pellissier will assume command of both the Polar Sea and, her sister ship, the Polar Star. 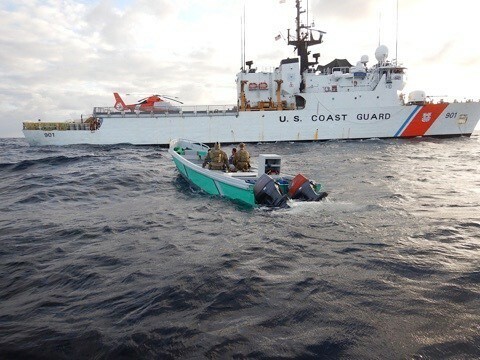 Polar Sea will be decommissioned in 2011 after more than 33 years of dedicated service; and the Polar Star will resume operations in 2013 and will become the vanguard of the Coast Guard’s high-latitude program. 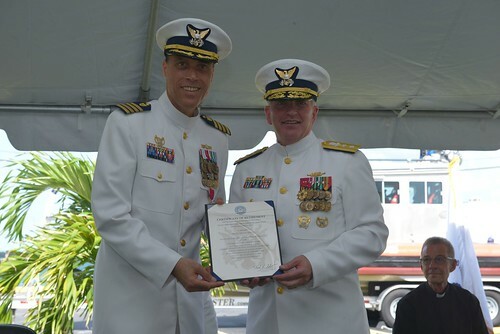 Captain Pellissier’s previous assignment was Commander of the Naval Engineering Support Unit in Miami. He is a native of Monson, Mass., and a 1987 graduate of the U.S. Coast Guard Academy, earning a degree in Naval Architecture and Marine Engineering. He holds two Master’s Degrees from the University of Michigan, in Marine Engineering and Mechanical Engineering. 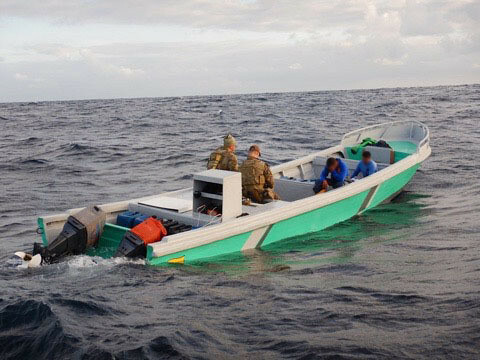 Additionally, he holds a U.S. Coast Guard Master Mariner’s license and is a certified scuba diving instructor. Capt. 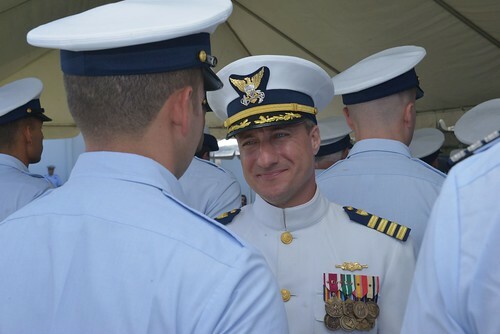 Pellissier’s awards include four Coast Guard Commendation Medals, two Coast Guard Achievement Medals, three Arctic Service Medals and two Antarctic Service Medals. 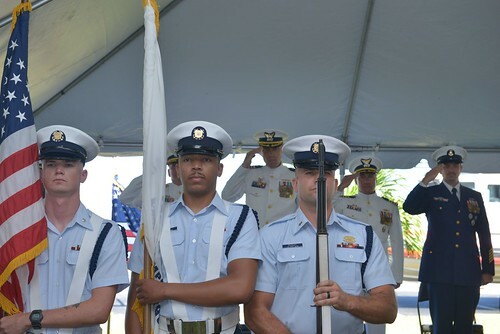 Vice Adm. Mason Brown, Commander of the Coast Guard Pacific Area, presided over the ceremony.